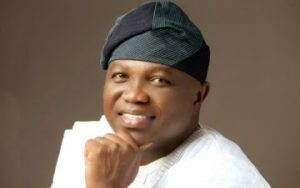 The Lagos State Government has concluded plans to make the teaching of Yoruba language compulsory in all its public schools. Governor Akinwunmi Ambode, represented by his deputy Dr Idiat Oluranti Adebule, yesterday at a stakeholders forum organised by the Lagos State House of Assembly at Academy hall, Agidingbi, Ikeja Lagos on the need to make Yoruba Language a compulsory teaching subject in all schools in the state, said that the subject will be taught in primary schools and junior secondary schools across the state. Ambode noted that it is important for children not only to learn the language of their environment, but also the culture and people’s general way of life. The governor added that it is very important for every Yoruba child to be able to speak the language very fluently, enriched with adequate cultural norms of the people so as to guarantee a responsible life in the future.